To add for example the Intel 82579 chipset, create a customized ESXi 5 ISO. This is very simple because some people have already done the hard work. 1. 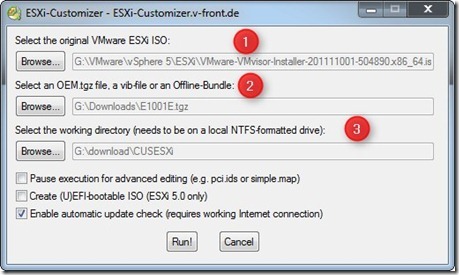 Download ESXi-Customizer (create by Andreas Peetz) found here. 2. Download the driver (created by Chilly) found here. And you’re ready to create the customized VMware ESXi 5 ISO. The ISO supports the Intel 82579V and 82579LM NIC(s) found on many whitebox motherboards today. Possible future updated version(s) of the driver can be found in the following post. Time for new whitebox for your VMware vSphere or MS Hyper-V home lab environment? When using a whitebox lab environment at home and like to test for example vSphere 5, vCloud Director, VMware View and MS Hyper-V (nested in VMware vSphere ) you need a lot of processor power and memory. In almost all whitebox lab environment the processor power is not the problem but the amount of memory is. Till now the Sandy Bridge desktop boards support up to 32GB memory with only four DIMM slots on the motherboard. For 32GB you need 4 * 8GB DIMMs, 8GB DIMMs are very expensive on the moment when writing this post. Intel Introduced the Sandy Bridge-E processors and motherboards with the X79 based chipset that support this processors. This gives new possibilities for building a new whitebox home lab. The 2nd generation Core i7 Extreme Processors can be compared here. Begin 2012 Intel will release the Core I7 3820 Sandy Bridge-E processor. This processor will support 4 cores (8 with Hyper-Threading) and have 10MB L3-cache. The price is not announced yet but will be much lower as the Intel 3930K and 3960X processors. When you buy a Sandy Bridge-E processor there is no CPU cooler in the box. – Type of number of NIC(s). 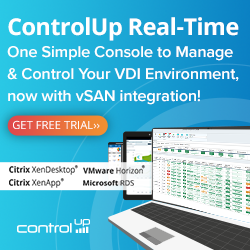 Important for a whitebox lab configuration is that the SATA controller (if you want to use local storage) and NIC(s) are supported by VMware ESXi. When choosing a motherboard with enough expansion slots you can always add extra RAID and NIC cards that are supported. The most X79 based motherboards have 8 DIMM slots and supports up to 64GB memory. 8GB memory modules are expensive. So you can make a configuration with 8 x 4GB = 32 GB DDR-3 memory which is much cheaper. When 8GB memory modules become cheaper you can upgrade to 64GB memory. Asus has a nice overview of all the X79 bases series motherboards they have, found here. I made a shopping without the case, storage and the power supply. The prices are taken from the Tweakers pricewatch (Dutch) an can change every day. With the Sandy Bridge-E processor and X79 based motherboard you can build a monster whitebox lab environment with the best performance on the moment. The advantage of using one huge whitebox you can use nesting to run your VMware vSphere and MS Hyper-V environment(s) on one box. An other advantage of using a whitebox is that you can make a low noise system. It’s a lot of money for a whitebox home lab environment but if you you wait for the Intel Core I7 3820 Sandy Bridge-E processor (announced in January 2012) can save you around €270,00 (this is an assumption because the list prices are not available yet).